Encapsulation is an advanced solution to protect your home from moisture damage. Encapsulation works by installing a heavy duty 20 mil. vapor barrier that is sealed completely. 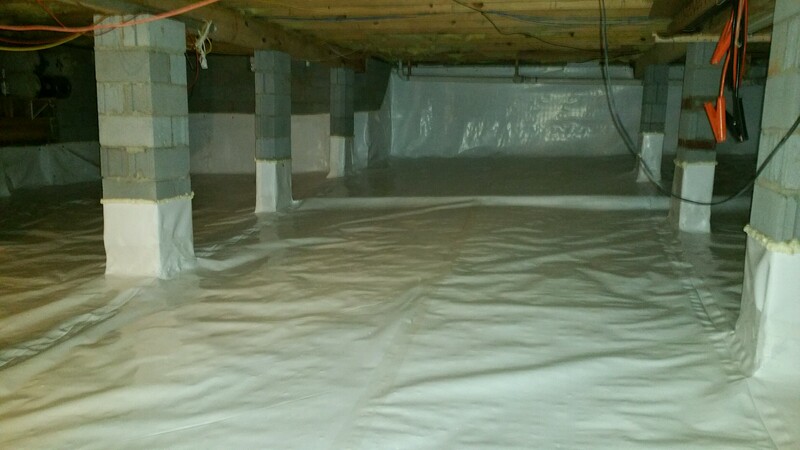 Once the crawlspace is protected, all of your issues will be permanently solved. Including moisture, mold, bad odors, and even radon. Traditional vented crawlspaces allow warm moist air to enter through the open vents and raise the moisture content of the structural components. This will cause an array of issues, such as mold and dry rot, and can further cause damage by bringing moisture to the insulation. Once the insulation absorbs moisture the resistance decreases and will have to be replaced. If you do not currently have a protective barrier in place and have an existing moisture problem, you will see signs of mold both underneath and inside. This is will in turn cause an odor that will often be noticed throughout the home. If you have any questions or concerns with your crawlspace contact Travis at ahealthyhome.com , 864-561-1350 or contact us for a free consultation.